Living a fun life with 4 boys and keeping the romance alive! 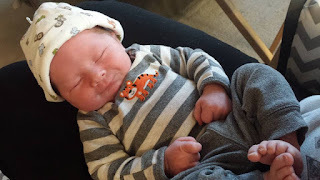 I decided I needed to write up my birth story with Kingston before I forget many details. My due date was September 30. That day came and I had no signs of labor starting anytime soon. We went to our community group that night, and I was sure I would be back the next week still pregnant. The next morning, October 1st, I woke up at 6:30. I noticed a little bleeding and was feeling crampy. Bryan was getting ready for work and he travels a lot for work. I told him he should work close to home, just in case labor was starting. He ended up just working from home. We ran some errands and went to lunch. I was still having contractions and cramping. I decided to take a shower at 4:30 to see if contractions would get worse or stop. During that time, I started cramping pretty badly. 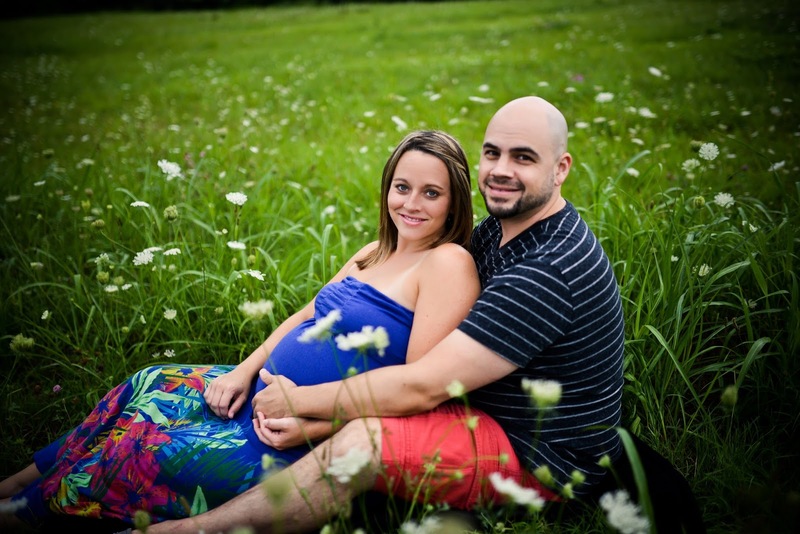 I tested positive for GBS, so I knew I would need antibiotics before he was born. We decided to go to my midwife's place where I would be having him. We got there at 8:30. I was at 3.5 cm at that point. We decided to stay the night in hopes that he would be born early the next morning. I had contractions all night and was able to get some sleep in between contractions. I was checked the next morning and was still at 3.5. I wanted to cry! Bryan and I decided to go for a walk at the park and that helped me have stronger contractions. My parents had come up to keep Beckham (the other boys were at their dad's house). We went to lunch with them and then went back and tried to nap. I was checked later tat afternoon and I was at a 5. It was so slow and I was getting very discouraged. We went another day without him being born. Contractions were getting more intense and I didn't sleep well that night. The next morning, at 6:00, I was checked again and I was at a 6. My midwife asked if we wanted to break my water. YES!! I was exhausted and ready to get him here. She prayed with us first and then broke my water. It's such a great thing that she did because I had a TON of fluid and it was stopping him from being able to come down and dilate me more. Contractions got pretty intense at that point. I got in the tub and that helped so much. Bryan let me squeeze his hands during contractions and my midwife's helper poured warm water on my belly. It really helped me get through several contractions. I eventually got out of the tub and contractions were so bad. I couldn't get comfortable. Before long, they were coming so close together I felt like I couldn't get a break. Bryan let them know I was really having a lot of contractions and pain now and then the room was a flurry of activity. It was almost time to meet our boy! I was really feeling the need to push, so she let me do some small pushes, but I wasn't quite ready to fully push yet. It's very hard to stop your body from pushing when that's all you want to do! I was finally ready to start really pushing. The pain of that is so intense, I can't even begin to describe it. They told me to feel his head. I think my response was "No! Just get him out!!" It's crazy how intense that pain is and then just a few seconds later, he was put on my stomach and I was overjoyed...partly because he was here and partly because the pain was over :) Kingston was born after over 48 hours of labor on October 3rd at 1:45 PM. He weighed 9 lbs 7 oz and was 21 1/2 inches long. I had a lot of bleeding afterwards, so I had to be given a shot of Pitocin to stop it. Having Pitocin after many hours of contractions was not fun! We came home around 5 that evening and have been adjusting to our little guy ever since! I am so thankful he is here and healthy and all went well with labor and delivery. I'm so thankful for our precious Rainbow Baby! A lot has happened since my last post! Bryan's job relocated us to Hot Springs in July. It has been a rough transition, honestly. I think we are all a little lonely here and praying for some good friends for all of us. Hot Springs is a really pretty area and it's been fun getting to know our new town that will most likely be our home for many, many more years! Last October we found out we were expecting another baby. What a wonderful surprise that was! In November, I started having some problems and went to the ER. After a very long ultrasound, and lots of waiting, we were told our sweet baby had no heartbeat. I was 9 weeks pregnant at that point, but our baby measured only 6 weeks and 5 days. It was a very devastating day. It was a very painful time, physically and emotionally. I feel very strongly that this baby was our baby girl. God has given me much peace on that, and I'm so thankful for that. We named her Evelyn. I miss her everyday and get sad knowing that she should be joining our family in just 9 short weeks. I very much look forward to the day I get to meet my daughter in Heaven. I will never hold her in my arms, but I love her as much as my other children and am thankful for even just the very short life she had with us. Something good has come from that...after 3 months of sadness, we found out in February that we are expecting again! So far, everything is healthy. I am 16 weeks and in 3 days we will find out if we are having a boy or girl. I'm strongly leaning toward a boy :) Many think it is time for us to have a girl, but I have no preference. I'm just so thankful for a healthy baby that I cannot wait to hold! The other boys are growing so much! We are 2 weeks away from finishing our 2nd year of homeschooling. I am so thankful God led us to this path. Homeschooling has been such a blessing to our family. I love seeing my kids learn and teaching them knew things. Some days, I could really use some quiet time, but overall I LOVE spending my days with! Liam is finishing up Kindergarten. He is reading so well now. I remember at the first of the year I was worried he would never even remember his letters. He has really taken off now! He is so good with Beckham. He and Beckham run around the living room being crazy, which usually ends in one of them getting hurt :) I love seeing him he such a great big brother. Speaking of Beckham..he has grown so much! He's talking a lot and is as cute as ever. He's very attached to mama and is still nursing..more than when he was a newborn, it seems! I'm not sure how to even begin weaning him..I may be nursing 2 babies when this one is born! He brings so much joy to our family...always ready to laugh and play and give lots of hugs and kisses. All I have to do is look at him and he makes me smile. I'm so thankful for him! What a blessing he is! I have much more to write, but I will save it for next time. And hopefully next time will not be another year! I feel like the last 4 years of my life has been nothing but changes! A divorce, 2 years as a single mom, a move out of our house into an apartment remarriage, moved to a new town, started homeschooling, a new baby, moved again 3 months ago..and now..ANOTHER MOVE. I'll be honest, I'm ready for some stability, to know we can be settled for a while. I need it, and I know Cade and Liam need that, also. I'm looking forward to getting to a new town, where we will make all new memories with our family...just memories from us. I LOVED living in NWA, but I have a lot of memories there that are from my old life, that didn't include Bryan, just as he has memories from this area of his old life. It's not a bad thing, but it will be nice to start over with all new memories for our family to make together. We really don't know when this move will happen, but we do know Bryan will be starting his job in the new hospital on June 9th. If we aren't living there by then, we will be spending a lot of time in a hotel until we get moved. I'm SO thankful we homeschool. It is allowing us to travel with Bryan when he needs to be in Hot Springs for work. I was able to go with him last week while the boys got some much needed time with Nana and Papa. We will all be going next week to spend the week there while Bryan works, so we'll be doing school on the road. I love that we have the option to do that! Beckham is getting so big! He is crawling and pulling up and has let go of the couch a few times and stood without holding on. I have a feeling he is just going to take off running soon. I can tell he wants to. He has brothers to keep up with! He loves to give kisses and he is a mama's boy! He always wants me in sight, and I admit, I love it! He and I have definitely developed a strong bond. I love him so much! I even miss him when I leave him in the nursery at church, and that's just for an hour! I'm sure you can guess he and I haven't spent much time apart. So, we have lots of exciting changes coming up! I'm looking forward to our move and getting settled. Not so much looking forward to packing up all of our stuff again. But, I know we are going somewhere that we can finally be settled for a while, so it will be worth it! I will try to keep my blog updated with our move and the new adventures we will be having! This will be a homeschooling post. Keep reading if interested! Before Christmas, I felt we were all on the verge of burnout. We have been "schooling" since June. We started early, because Beckham was due in September, and I knew we would be take time off to adjust to life with a newborn. But...Beckham was a great newborn! And, we ended up only taking 1 week off of our school work. My original plan had been to take a month off, but we just didn't need that much time. Fast forward to the beginning of December. I was stressing out because I felt like I wasn't getting enough done with their books to be finished with everything by late April or early May. Cade was very much near burnout..it was like pulling teeth to get him to finish his schoolwork! It would seriously take him 3 hours to finish just a few math problems, and they weren't difficult problems, just simple addition. I knew it was time for a change. So, over Christmas, we took a much needed 2 weeks off. I took that time to plan the next 9 weeks of school and to order new curriculum. I could tell they were getting bored with what we were using and that was part of the problem with getting Cade to do his work. Also, after talking to Bryan, we decided to go to a year round school schedule. As Voddie Baucham says, if you know what grade your kid is in, you're doing homeschooling wrong :) If you haven't heard of him, look him up on YouTube. I LOVE listening to him speak. He has a great message on homeschooling that is a great listen! Switching our schedule has given me so much relief. We can work at the pace we need to work at. I ordered a lot of new curriculum over the break, and now Cade is officially a 1st/2nd grader. I love that we can work on the level he needs instead of trying to keep up or stay back with what he would be learning in public school. On top of the new curriculum, I knew we needed a routine. There were some days that we would be doing school before bed. Days like that just threw me off. Some people can homeschool with a schedule like that, but it just doesn't work for us. I find I get the best work out of the boys when we do it first thing in the morning. If we wait until after lunch, I may as well forget them learning anything because it will be a fight to get them to focus. At 9:30, we do Bible together. We are just following one of the plans for kids on YouVersion. The one we're doing right now is called Heroes of the Bible. It's been really great and they are enjoying it. We have something we read out of the Bible each day, then a story that explains what was going on and a video to watch from What's in the Bible with Buck Denver. Most days also has a coloring sheet to go along with it. After Bible, we start on math. Cade is doing math with Easy Peasy All In One Homeschool. This is a GREAT free complete curriculum that's online. There are some worksheets to do, games, an videos. I also usually add some of my own worksheets to it to reinforce what he is learning. Because most of it is online, he's able to do a lot of the math himself. I help him if needed. After math, Cade gets a short break while I work on phonics and writing with Liam. Liam is still using Abeka K5 Phonics and writing and he's doing really great with it. He is about halfway through all the lessons and is starting to read! I was intimidated to teach him to read and at first, I really was thinking it wasn't going to work. But, we just had to find the program that worked for him and Abeka has been great. After Liam is done with phonics and writing, I do either science or history with Liam. We do science 2 days per week and history 3 days per week. I'm using Lesson Pathways for him. This is another free curriculum that's online. It has a lot of fun activities to go along with the lessons. We are really enjoying it! After that, Liam is done with school for the day, so I spend the rest of the time focused on Cade. For his phonics, spelling and language arts, he is using Abeka's 2nd grade curriculum. We are liking it a lot. Earlier in this school year, he completed 1st grade Hooked on Phonics as well as some Explode the Code workbooks. I think Abeka is going to really help him improve with his reading. We are also using Abeka to learn cursive. Two days per week we do science. He is also using Easy Peasy for science. We are doing biology. We do history 3 days per week. We do a combination of Story of the World and Mystery of History. We are really enjoying this. It's a classical approach to history and I just love how it intertwines Biblical history into world history. I think I'm learning just as much as Cade is! With history, we are making a timeline to show everything we are learning. It also suggests map work, which I was going to skip but just today Cade asked if we could make maps, so I guess we will be doing that as well! We are done with school by 12:00 or 12:30 each day. This new schedule has been great. I've accomplished everything I want to with them during the week, we have all afternoon free to do whatever we want and I don't feel like we are falling behind! If interested, here is a little peak into a day at our house! Story of the World and Mystery of History..fun history books! Liam working on his math. Watching a science video together. Now that Beckham is 6 weeks old, I feel like it's time to get back into shape! It would be nice to fit into more than the few things that fit me right now. My clothes options are just sad at the moment. I've lost quite a bit of my pregnancy weight, which happens pretty easily when 10 lbs of that is baby :) I am definitely not where I want to be, though, and would like to lose another 40 pounds to be where I feel most comfortable. But, more than wanting to look better, I want to feel better and I want my kids to see me working to get in shape. It's my job as their mom to teach them about being healthy and making healthy choices. My weight is something I have always struggled with. In high school, I struggled with eating..as in, I would go a long time without eating. I lost a lot of weight, but I was not healthy at all. While I don't starve myself anymore, I do still struggle with eating and body image. I don't want my kids to see that as they grow up! Aside from all of that, I want to be healthy so that I can enjoy my kids. I want to be around as they grow up. Being healthy is one of the best things I can do for my family. Anyway...so today I woke up earlier than usual and got in a workout. Yesterday, we went grocery shopping and bought healthy food. I told Bryan my cart looked SO much healthier than it usually does! Beckham finally decided he was ready to come into this world :) He was born September 8 at 6:15 and he is a big boy! He weighed in at a whopping 9 lbs 12 oz and 21 inches long. We have been excited about having our home birth. This was the first time for either of us to experience that. Labor started Wednesday nigh (Sept. 7th) at 6:00. 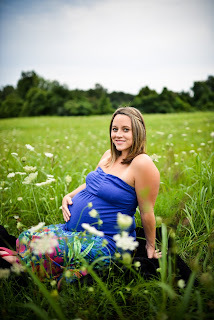 We had gone to Wal-Mart at 5 and while there, I was noticing a dull ache in my lower back, but my back has hurt a lot with this pregnancy so I didn't think anything about it. We rented a movie and came home to watch it. At 6, I noticed that ache would come and go at pretty regular intervals. So, I decided to time them and during the hour that I timed them, it happened 10 times. I finally figured out that they were contractions. I decided to take a shower and see if they stopped. It was hard for me to believe I could actually be going into labor because I have had several false contractions, so I figured that was happening again...even though I was 4 days past my due date :) After my shower, the continued happening, so I decided I should call my midwife just to let her know what was going on. I tested positive for Group B strep test, so if I were really in labor, I wanted to make sure I got to her in plenty of time to get the antibiotics I would need (I actually had PLENTY of time, ha!). We went to her clinic around 10:30 and she checked me. I was dilated to a 4 and definitely in labor, so I got my first round of antibiotics and then came home to try to get some sleep. I was able to sleep until 4:30 and at that point, the contractions got too hard to sleep through, so I got up and just watched t.v. My midwife got to our house at 8:30 for my next round of antibiotics and stayed the rest of the day, as contractions were pretty regular. That is what I LOVED about having a midwife. She came to my house and stayed all day just to be here for support. If I had been doing this in a hospital, I would have been sent home at that point. Anyway, contractions started getting a little more intense so I got in the birth pool and that really helped me to relax. Around 4, my contractions got very intense. I moved into different positions during contractions to try to get my water to break on its own. After several contractions, and me having a really rough time getting through these contractions, my water still didn't break. My midwife went ahead and broke my water so that things could progress a little more, as I was at a 7, almost an 8 at this point. After she broke my water, things went really fast. I started feeling a ton of pressure during my contractions. And around this point...I don't have much memory of what happened. All I know is before long, it was time to push. And wow...this was definitely not what I expected! 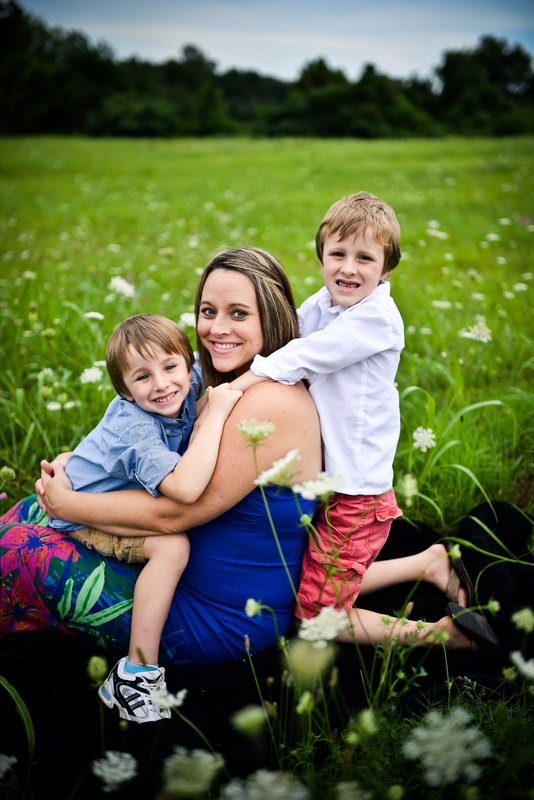 I had an epidural with my first two, so I never really felt anything while pushing. Oh my goodness...it was rough. I've never experienced anything like that in my life. I had many many moments of regretting not being in a hospital with an epidural, ha! And I'm surprised Bryan doesn't have bruises or fingerprint marks on his arms! It's amazing the neighbors didn't hear me having this kid! Once his head was out, the midwife noticed he had a knot in his umbilical cord, so we had to get him out as soon as possible. She had me flip to my hands and knees so she could get him out asap. A few pushes later and he was out and he was perfectly healthy. 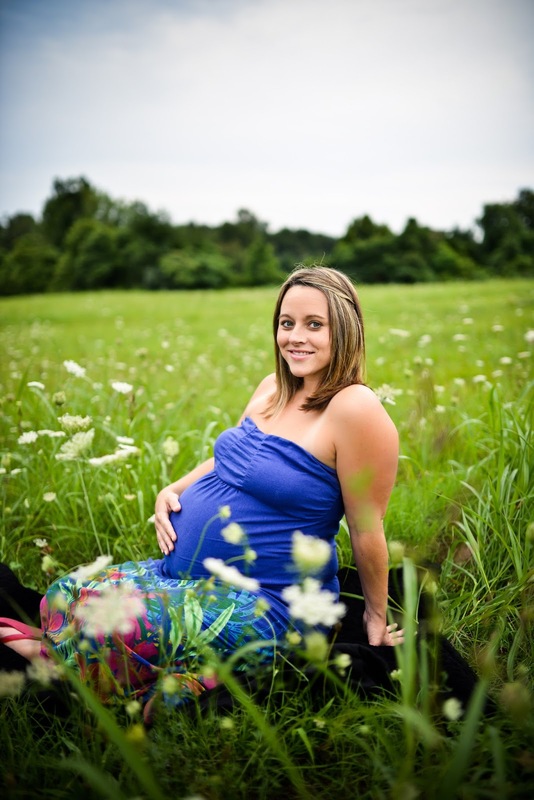 I'm so thankful for our awesome midwife who knew exactly what to do in a scary situation! Once he was born, I could see why it hurt so bad trying to get him out. The one time I have a medicine free birth, I have an almost 10 pound baby! At one point, I really felt like I wasn't going to make it! I wanted to give up, but of course, I couldn't. It was rough. But, I am SO happy we did this at home with a midwife and no pain meds. I loved that an hour after having him, I was laying with him on our couch and hanging out with my family in the comfort of our home and I got to sleep in my own bed. It was just so much more comfortable doing everything at our house. Yes, the pain was rough, but was so worth it to have that experience that I feel like I missed out on the first 2 times. The boys just love him. They love him so much that they can't keep their hands off of him :) Cade has been giving him kisses all day long. I'm so thankful they are happy to have a new baby brother! I will add some pictures of him soon, once I take some with our good camera! Maybe someday I will do post #2 for our California trip, but that's not happening today :) It's been a while since I've updated, and since I keep this blog for me to be able to look back and see what has happened to us over the year, I figured I should do an update on what we've been up to! First..pregnancy!! We are down to 4 weeks until my due date! While it feels like this pregnancy has taken forever, it also feels like it has flown by. We are SO ready to meet this little boy. Pregnancy has been rough on me the past 2 months or so. It always gets rough towards the end, but I have never had pain with my other 2 like I have had with this one. My lower back and my hips hurt SO bad that I can hardly get out of bed in the mornings. At night, I have to switch sides that I sleep on every 30 minutes or so, so I'm not getting any sleep. Plus, he is taking all my lung space, so I can hardly breath. Any little bit of movement takes all my breath away. Hardly being able to move really hinders me being able to do what I need to do around the house. We are having a home birth, so I want my house really clean and laundry done until he gets here. I don't want to be in labor at home and worrying about having a messy house. But, with these pains and lack of being able to breathe, it's hard to keep up with the messes the boys make or with the laundry. I'm just overwhelmed lately! I'm not trying to complain. I am SO very thankful for this baby and this healthy pregnancy, I'm just ready for a little relief so I can do everything that I need to be doing around here. I feel very useless these days. I haven't had many food cravings at this point in pregnancy. I crave 2 things...ice is #1. I want ice ALL the time. I drink something just so I can eat the ice. I told Bryan when I go into labor, I'm sending him to Sonic to get lots of ice! The other..and this is a weird one..I made my own laundry soap 2 months ago. I crave the smell of it. I'm not sure if it really just smells good so I like it, or if the pregnancy is making me crave the scent. All I know is I can just go into the laundry room and smell it for 5 or 10 minutes at a time. I want to do laundry, just so I can smell the laundry soap. School is going GREAT with the boys! We are moving right along in the books we are using. Liam is doing so great with learning his letters and the sounds they make. It has taken a while to get there with him. We went through 4 different phonics programs before finding what works for him. I'm so glad we found something that works and we are sticking to it. All I do with Liam during the day is Bible, phonics/writing, math and art usually once or twice a week. Other than that, he is welcome to sit in on my lessons that I do with Cade, but usually he chooses to color or play or watch a movie while I'm finishing with Cade. Cade is doing great with his lessons, too. I love getting to see him learn and catch on to what I'm teaching him. I also just love seeing their natural curiosity. There has been times that we have studied something not on the "lesson plan" just because they show interest in it. We had some mushrooms growing in our yard after all this rain. They were asking so many questions about the mushrooms, so we just did a project and learned everything we could about them. That's the great thing with homeschooling..we can break from our normal routine and study something that they want to learn about. We are all loving it! The co-op we are joining starts in a few weeks and I can't wait. They will have so much fun. They are going to do an art class, possibly music..haven't decided if I'm signing them up for that yet or not. Each month they will be doing a different sport as well as a class where they will learn things like cultural studies, science labs, creative writing...each month is a different focus. And, each month they will have a family field trip. I think we are going to have so much fun with this! So, we will do school 4 days a week and one day a week will be set aside for our co-op day. We also have the option to sign up for a foreign language class. I haven't decided yet if we will do that this year or not. 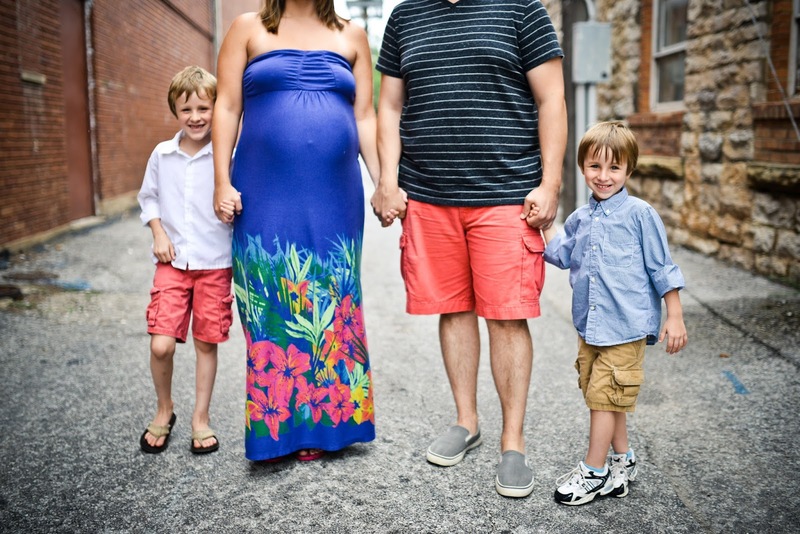 We had maternity pictures taken 2 weeks ago by our favorite family photographer. She did such a great job! I can't wait for her to do our newborn pictures in a few weeks! Here are a few of my favorites. This little boy has one awesome daddy!! Welcome to our blog! 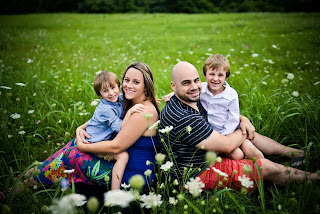 Bryan and I were married August 18, 2012 and we have 4 wonderful boys! We are excited to have you read our journey of becoming a family and keeping the romance alive while raising 4 boys!